It’s been a tough year for duck hunters in the Carolinas. But while some areas that are usually sure-fire limit holes have been duds all season, others continue to produce big numbers of ducks. The Clarendon Club in Summerton, S.C. is one of those spots that hunters are having plenty of success hunting. Capt. 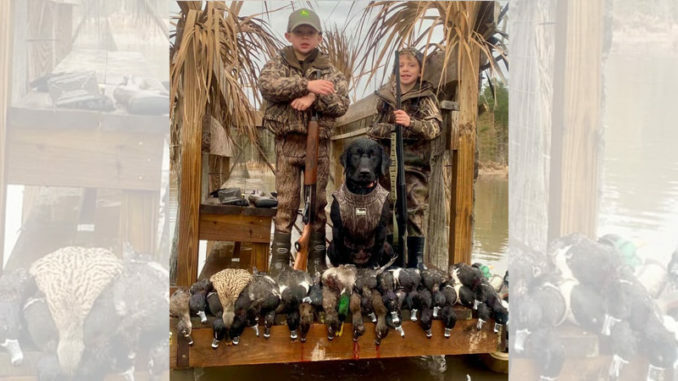 Joe Dennis of Father and Son Outdoors said it’s not just the Carolinas that are suffering from tough duck hunting this year. He’s seen it in other states too. And he contributes it to a number of factors. High water is one reason duck hunting has been so tough. But most hunters agree it’s not the only reason. “The water is still so high all across the Carolinas, and other states. We’ve had so much rain and flooding in the last few months. Many places that have never been underwater are still flooded. That gives ducks so many places to go. So even if we had the same number of ducks, they can spread out and go to more places. And a lot of those places are where hunters just don’t have access. “But it’s not just that. 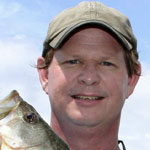 The lack of hydrilla in many of our lakes is another reason. That hydrilla holds a lot of invertebrates that ducks feed on. That makes up a big part of their diet. Without it, ducks are simply bypassing areas that once attracted them. It’s just not worth it for them to stop,” he said. This opens the door for well-managed impoundments, said Dennis. Decoys, including motion-dekes, are right at home in Clarendon Club’s flooded crops. “The Clarendon Club has a lot of flooded corn and chufa, That attracts ducks for two main reasons. First, they like to eat it. But second, and just as importantly, it attracts those invertebrates like snails that ducks love to eat. I was at Clarendon Club when they moved a blind the other day. When they moved it, it disturbed the plants all around the blind. You wouldn’t believe the numbers of snails and other invertebrates that it stirred up,” he said. Hunters have been killing limits of a variety of waterfowl species, including widgeons, mallards, ringnecks, teal, and wood ducks. Dennis said the club’s well-placed blinds help, and patience from hunters is highly underrated. “Some species of ducks are going to fly over your decoy spread several times before they land. They’ll circle or do figure eights. If you’re shooting at them on the first or second pass, they’re usually too high for most hunters to hit. Let them make their passes. Each time, they’ll drop a little lower, and if they like what they see, they’ll come in to your spread. Be patient, and you’ll get your chances,” he said. Waterfowl season closes this weekend, but Clarendon Club will be open for the Federal Youth Days of Feb. 2 and Feb. 9. And now is the perfect time to schedule a spring turkey hunt or a fall deer hunt there. Click here or call 803-460-9379 for more information on all that Clarendon Club has to offer.